Delight in this giant pumpkin's fall spirit. 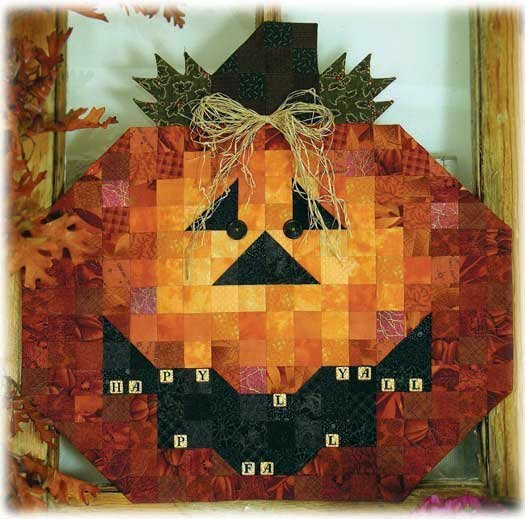 Quick & easy construction using Ozsome Accents Quick Fusible Grid. Features teeth buttons that read "Happy Fall Yall". Finished size 27".